We’ve added two new pages to The Crochet Architect website. The first page is called “Reviews”, where you can let us know what you think about our crochet patterns. If you’ve bought one of our patterns and you like it, please let us know. If there is anything unclear about the pattern, please let us know, as well. To write a review on the pattern you’ve purchased on this website, simply go to the page for the pattern you’ve purchased. Then scroll down, click on the button that says “Click here to submit your review” and fill in the appropriate spaces. Once your review is approved (everything has to me moderated these days due to all the “spam” out there! ), it will show up on the website. It’s that easy! The second page we’ve started is a “Gallery” page (in the dropdown menu below “Reviews”). This is where I share customer project photos that you’ve made from our patterns on The Crochet Architect website. If you’ve bought one of our patterns and finished your crochet project, we’d love to see your project and show it to others. Please share it with us by contacting me through this website (on the “Contact Me” page in the dropdown menu below “About Me”). 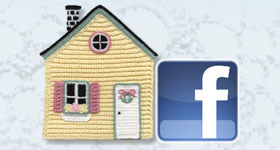 I’ll reply to your message and arrange to post your project photo here at The Crochet Architect on the “Gallery” page. I love to see the finished projects of my customers and students, and I’d love to share your project photos with the world! I hope you’re enjoying our patterns here on The Crochet Architect. I strive to create crochet patterns that are clear, accurate and easy to understand. I’ve been crocheting for over 35 years, designing crochet patterns for 15 years and editing crochet patterns for almost 10 years. I love what I do and I hope you enjoy the crochet patterns here at The Crochet Architect. This entry was posted in Customer photos, Customer Reviews, Website updates and tagged crochet patterns, crochet projects, customer gallery page, customer reviews page, patterns. Bookmark the permalink.